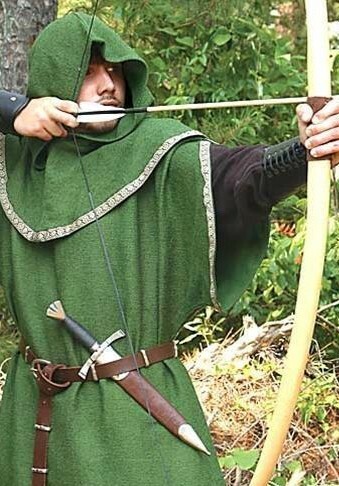 The archer's sleeves fall freely open when you raise your arms, for complete freedom of movement as you aim and draw your bow. It can be worn with or without the hood. 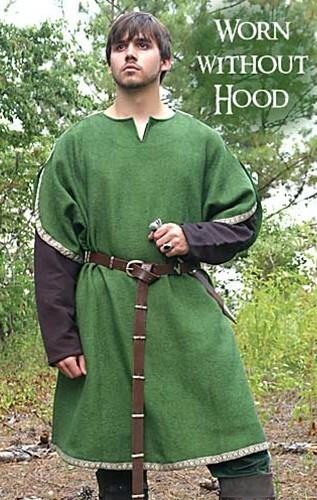 Both the tunic and the separate hood are edged with brown Medieval trim. It's 100% cotton and comes in sizes S/M or L/XL. See size chart below. 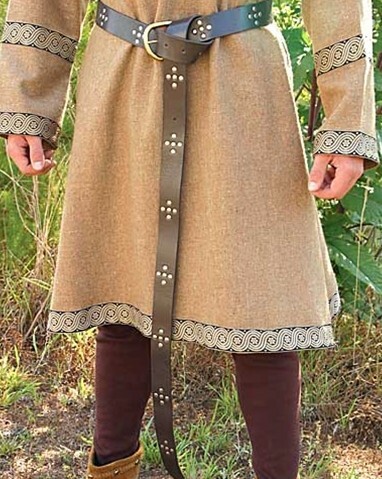 Belt and vanbraces not included. 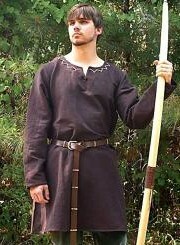 The English long bow and Medieval arrows and long belt shown here are no longer available. Sleeve 32-1/2 - 34" 34-1/2 - 36"